Let's celebrate our trails! NMMBA is partnering with Short's Brewing Co. to bring highlight the trails of the Pere Marquette Forest in Traverse City, Michigan. With the start and finish at Ranch Rudlolf, we have a day to bring the community together, ride, and relax afterwards. 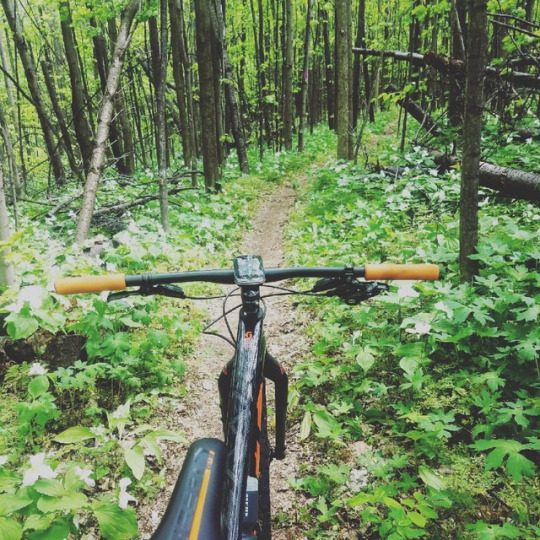 Northern Michigan Mountain Bike Association is the local MMBA chapter, operating as stewards of the trails and ambassadors for the sports of mountain biking. In 2017, we decided to replace the famous Long and Short's Ride in favor of a race-or-ride format that we feel appeals to more folks! TCTF offers a 40 mile race, a 25 mile race, and a 25 mile tour, as well as a 15 mile race for beginners! It's the same route that's expertly marked, with well-placed aid stations along the way. You can hop in to race, or take the ride at your own pace with friends on a self-supported adventure! There's even a 15 mile short cut off the 25 mile route, in case you want to get back to the beer quicker! Proceeds from TCTF will go to NMMBA's trail building efforts, including projects like Summer and Winter trail building, trail events, and trail advocacy.